Winter can be cold and snowy and keeping the family entertained can some times be a challenge. This blog post is to help everyone come up with some ideas on what to do around Ross County as a family. Winter has given us snowfall that we haven’t seen in a couple of years. So this is an opportunity to get the family outside to experience some of the outdoor recreation that is available. Make sure to bundle everyone up in warm clothes, then head out to one of the State Parks around Ross County. Many of the State Parks offer recreation options when conditions permit such as sledding, cross-country skiing, even ice skating and ice fishing. 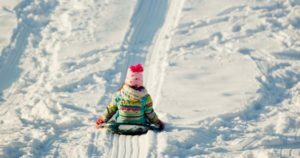 For sledding options, Scioto Trail State Park, Paint Creek State Park and Pike Lake State Park offers areas to enjoy this tried-and-true form of winter tradition. All of these parks plus Great Seal State Park offers areas for cross-country skiing if you prefer to explore more of the winter wonderland. As far as ice skating and ice fishing, make sure to check with rangers at the State Parks to ensure that conditions exist for this type of activity. When they do exist you can get out on the ice at Scioto Trail State Park and Pike Lake State Park. Explore our Nature’s Wonders page for links to the State Parks and parks in Ross County. So the kids are getting restless and you’re looking for options to keep them busy and entertained but the weather may not cooperate with going outside. We’ve got you covered in this section. This is about all the in-door activities that you and your family can do to stay inside and warm this winter. If you have children that are 8-years old or younger, a great first choice is the Mighty Children’s Museum in downtown Chillicothe. The museum offers interactive, hands-on exhibits that will keep everyone entertained for hours. 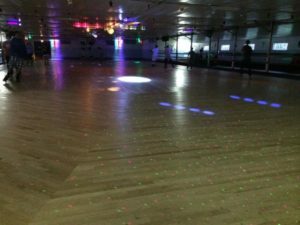 You can also have some retro-fun by making an afternoon of bowling at Shawnee Lanes, or rollerskating around the rink at the Cavalier Skating Rink. In addition to these, the Chillicothe-Ross County Public Library offers a variety of activities throughout the year for children and families. These activities are free and can be found at all branches of the library throughout the county. If these don’t work for your family, there’s always the entertainment of new movies at Danbarry Cinema. This is a way to keep warm and entertained for a few hours. Don’t miss out on events coming up in Ross County! There’s several ways to ensure that you don’t miss anything. Visit our online Calendar of Events, (Make sure to bookmark the page and check back often as we add events daily! ), sign up to receive our weekly email, “Where To Be”, that showcases upcoming events for the weekend, and follow us on social media. You can keep yourself and family busy and entertained by staying up-to-date on what’s happening around Ross County!